Designing and aesthetics aren’t only for our clothes anymore. These elements matter just as much when it comes to our homes, and for anyone who loves decorating their home there is nothing more peaceful than finding the perfect piece of interior that had been missing all along. Luckily for Multan, they got to experience that Zen and feast their eyes upon perfection as Marina Home decided to head over. Marina Home, a household name synonymous with quality, creativity and a strong aspirational value is an interiors retail chain known worldwide that is based in Dubai with outlets in Lahore and Islamabad as well. 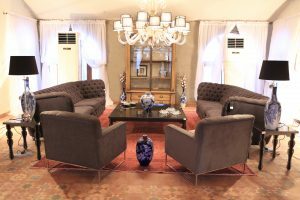 They recently hosted a roadshow in Multan at the Villa Marina, which was gorgeously restored by Marina Home, and managed by Fiza Gillani’s Papermint events. 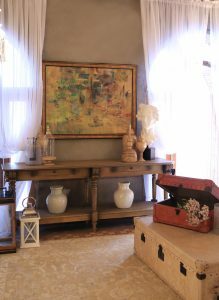 The roadshow exclusively showcased their furniture collection along with a collection of Contemporary Pakistani Art by MyArtWorld Gallery. The people of Multan indulged in buying their exquisite furniture despite having a hard time trying to choose from their vast collection which included everything from beds, sofas, home accessories, tables and decorations etc. What mesmerized the buyers even more, leaving them awestruck, was how Marina Home was able to restore the Villa creating a certain sense of magic in the air. 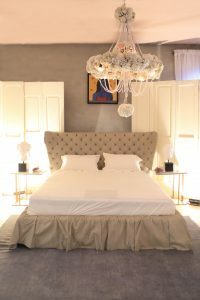 As if timeless furniture accompanied by the perfect setting was not enough, the event also included a lovely musical performance by none other than Ali Sethi, and a meet and greet with their designer followed by a grand dinner that was served later in the night. Syed Yousad Raza Gillani, Ali Haider Gillani, Fiza Gillani, Haniya , Shafi Sheikh, Mahnaz , Saima, Jalal ud din Rumi, and Anees Khwaja were some of the attendees of the event. Well-executed concepts in forms of timeless pieces of furniture that are bound to never go out of style and grabbed everyone’s attention. 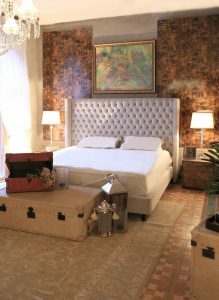 Not only would their furniture have diverse traditional designs but also have a very contemporary spin to them. With a distinctive mix, with something to suit everyone’s taste it also exhibited some inspiring designs that are likely to intensify the relationship between the furniture and owner. Marina Home truly brings fusion to home decor.